Spain is the UK’s 8th largest export market, worth over $13Bn annually (OEC 2015). Over 900 UK businesses sell products and services into Spain, from automotive parts to cooking oils to coffee to clothes. These 900 businesses might have very different offerings, very different business models and very different routes to market. But their export journey has one important thing in common: professional translation. 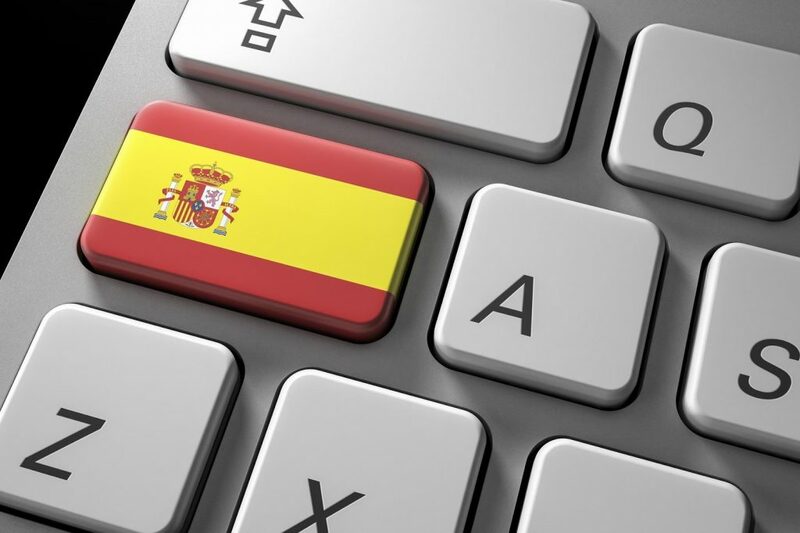 Although English is widely accepted as a business language in Spain, professional Spanish translation is vital for these exporting businesses. Even if your buyers, suppliers, distributors and business contacts understand English, they’re culturally Spanish. Because if you communicate in English, you always position yourself as the outsider. To truly build connection and cement your place in the Spanish market, you must be an insider – which means communicating in the Spanish way, in the Spanish language. Here are 7 tips to get Spanish-to-English translation right. If you’re learned-bilingual you’ll know, the biggest mistake new speakers make is trying to translate like-for-like. Any professional translator will tell you, myriad idioms, metaphors, phrases, words and concepts in English don’t translate well into Spanish. Instead, a good translation looks at the sense behind the words. Instead of like-for-like, you get meaning-for-meaning. That’s what’s important, because it means your Spanish audience get the same takeaway as your English market. Think of words as transport; meaning as the destination. You want all your audience to arrive in the same place, but they don’t have to travel the same way. In line with the above, any professional translation should start by defining your objectives. Who are your audience? What do you want them to feel? What action do you want them to take? What is your preferred tone? What is your brand voice? The answers to these questions should be clear from your original English text. It boils down to this: why does this piece of content exist? What are we trying to do? If you don’t have answers, you might need to revisit your overarching content strategy. If you’re creating content for content’s sake, even the best professional translation won’t add value. Your Spanish export business will likely demand a broad range of marketing communications, like websites, email campaigns and advertising. 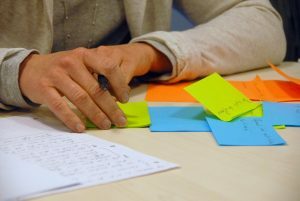 While business documents can be dry and informative, these marketing materials call for a specific and consistent tone of voice. Are you formal or casual? Intelligent or down-to-earth? Funny or straightforward? Whatever your business personality, you’ll want that to translate well in Spanish so your audience can form an understanding of who you are, what you stand for, and why they should buy from you. To that end, you should develop a Spanish style guide that informs all your Spanish translation henceforward. This document acts as the backbone for your translation efforts, so you’re not tied to any one translator. If you need urgent translation cover, for example, any professional translator can work from your style guide even if they’re not deeply familiar with your business. Space limitations are an important factor, depending what you’re translating. That digital blog article can be almost any length, but many materials are more difficult. Brochures; posters; packaging; signage – here the interplay of space and text needs consideration, because Spanish generally takes up more space than English. That snazzy banner advert might work perfectly in English, but you may have to reconsider design for the translated Spanish version. English to Spanish translation isn’t just about words. You’ll likely also use a number of symbols to concisely convey information – the fragile symbol, laundry symbol or recycling symbol, for instance. In many cases these are standardised across the EU, but not always. Take time to assess every symbol on your product or marketing materials, or you risk miscommunication or, worse, non-compliance with Spanish regulations. Taglines and slogans are the most difficult thing to translate, because their meaningfulness relies on a series of assumptions and connotations. These nuances are very often cultural, and so don’t translate well across borders. Like the Pepsi fiasco where their original tagline, “Pepsi brings you back to life” was translated into Mandarin meaning “Pepsi brings your ancestors back from the grave”. Don’t be Pepsi. Work with a professional translator who’s experienced translating slogans and taglines from English into Spanish. As we said above, the destination is more important than the mode of transport: your slogan might actually change considerably, and that’s OK.
As a Spanish exporter, you’ll likely have ongoing translation requirements. You’ll get better results if you consistently work with the same people on those translations. Just like a writer or designer, translators are creative professionals who have their own style. Once you’ve found a translator (or translators) whose style you like, aim to build a long-term relationship so that person or team can help you with ongoing translation needs. This doesn’t have to mean hiring a permanent translator. You could bring someone full-time onto payroll, but most SMEs prefer the flexibility of freelance. In that case, most freelance translators offer retained services as well as ad hoc translation, which could fit flexibly around your needs. For Spanish export businesses, the right professional Spanish translation is vital. A nuanced, culturally-appropriate translation reinforces your brand, tells your story and compels your audience – just as you do at home. That’s the lynchpin of success in a different market. Marián Amigueti and Lourdes Yagüe Lobo lead the popular professional Spanish translation network, Hello Translator. Their professional, specialised Spanish translators help businesses of all shapes and sizes break into and excel within the Spanish market.